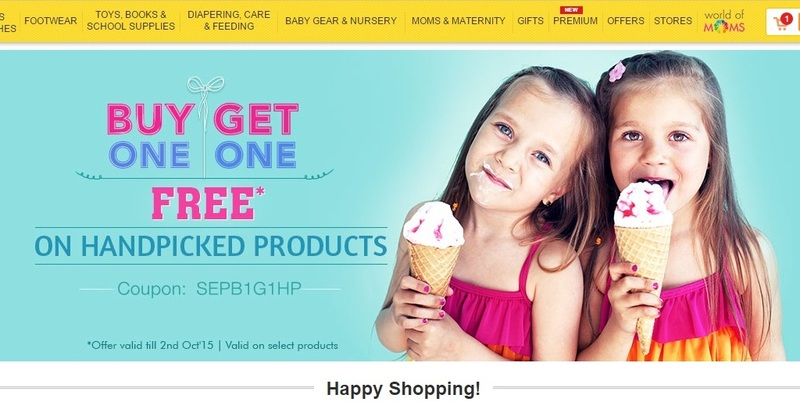 How to avail FirstCry Buy 1 Get 1 Offer? 1. Visit offer page of FirstCry here. 2. Select the category of products you desire. 3. Select the products from the page. Buy the products using coupon code SEPB1G1HP. Get the lowered priced product for free. 1. The offer is valid till 2nd October 2015. 2. Offer is valid on select products only. 3. Terms and conditions of Firstcry is applicable.